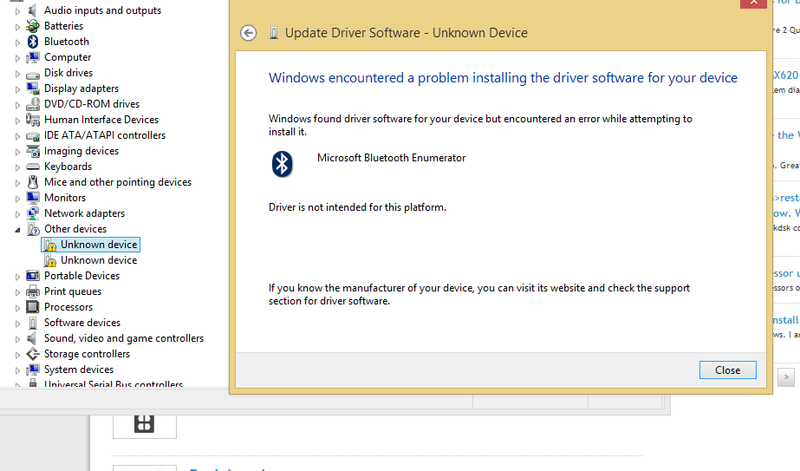 After the 8.1 os update for my windows 8 inspiron 3520 dell, i noticed in my drivers that two were unknown and i have pinpointed them to be the Microsoft Bluetooth Enumerator and Bluetooth Device (RECOMM Protocol TDI). 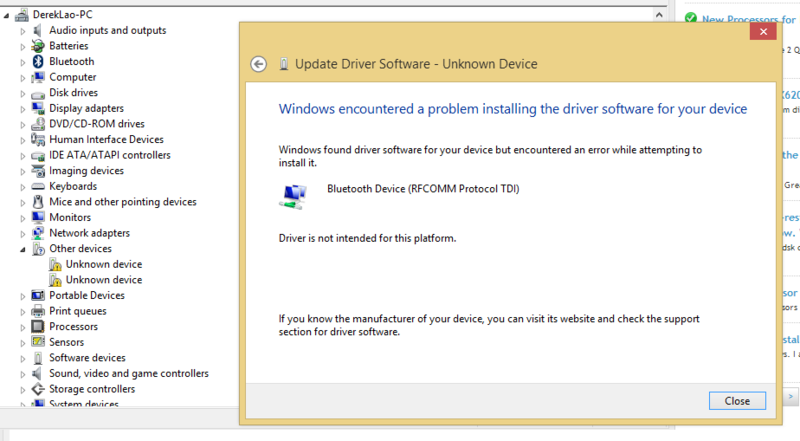 I have tried to install the drivers online but it does not work. And why does it say this driver is not intended for this platform?